The Wolf Clan faces a terrifying enemy in the second installation of Michael Milone's Nasha series. 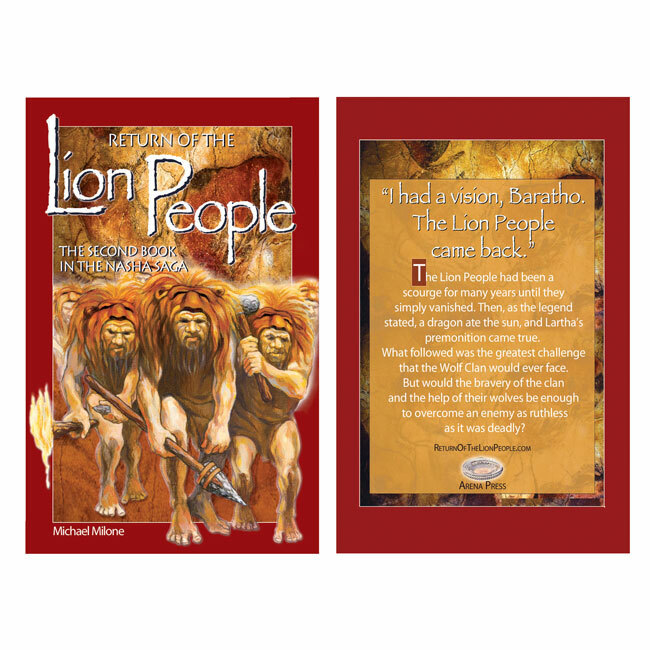 The Lion People, a marauding clan that had disappeared for a generation, returned and continued their violent ways. Despite the valiant efforts of defenders, the warriors of the Lion People kidnap many of the Wolf Clan's women and children. Given their almost impenetrable lair, the Lion People have little fear of a rescue attempt. Moreover, as a peaceful tribe, the Wolf People have little chance against such a formidable enemy. 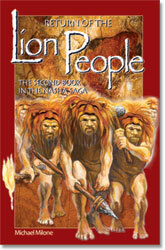 Lion People shows the contrast between a hunter-gatherer clan and a warrior clan in the same region. "Humans have adapted in many ways," says Dr. Michael Milone, a research psychologist. "Our family tree has many branches, from peaceful clans who spent most of their time developing survival skills to aggressive groups that preyed on others." Some new characters are included in this sequel, including a remarkably resilient and capable deaf woman and her two daughters. In addition, the blind storyteller, Checo, shows a surprisingly contemporary ability that young readers will enjoy learning about. "It has long been assumed that ancient humans simply abandoned children with disabilities or they perished from natural events. I find this difficult to accept because humans 15,000 years ago were so much like us today," admits Milone. "The notion of abandoning a child would be impossible for most of us, and I have no doubt that many disabled young people survived to adulthood and contributed to the society in which they lived." As was true in Nasha: The First Dog, the wolves are not harmed in Lion People, and they contribute in a unique way to the climax. Some of the clan members are not so lucky and die while attempting to defend the village. "I wanted to introduce young readers to the practice of treating the dead with respect, a practice that is as old as humans themselves. I agree with the British statesman William Gladstone that a society can be measured by the manner in which it treats its dead, and I think young readers will appreciate not only the ceremonial burial, but also the discussion that follows." The focus of this work is more on the humans than the wolves, a departure from the first book in the series. "Although the wolves play an important role in the story, it is more about how the members of the Wolf Clan interact with one another and other clans as well as respond to an enormous threat from the Lion People. A high level of action is maintained throughout the book, and more of the discoveries of humans are introduced. As was true with the first book, the underlying message is that humans fifteen thousand years ago were intelligent, persevering, and caring people. Our human journey is a remarkable story, and I hope that young readers will feel a sense of pride in what our ancestors accomplished."